I am looking to upgrade to Snap VDSL so need to upgrade my router. I have been looking through the forums and it looks like the Zyxel P870H-51A is the way to go, it also seems bridging this to a router for my wireless will reap the most benefits. My question to the experts is, what is a good router to bridge this to? I currently have a TP-Link W8950ND, seems to be having trouble with connecting to the Galaxy S4. Not looking to spend a crazy amount, but willing to pay for a good product. Also, is it worth me bridging or should I just pay extra for the wireless version of the Zyxel P870H? 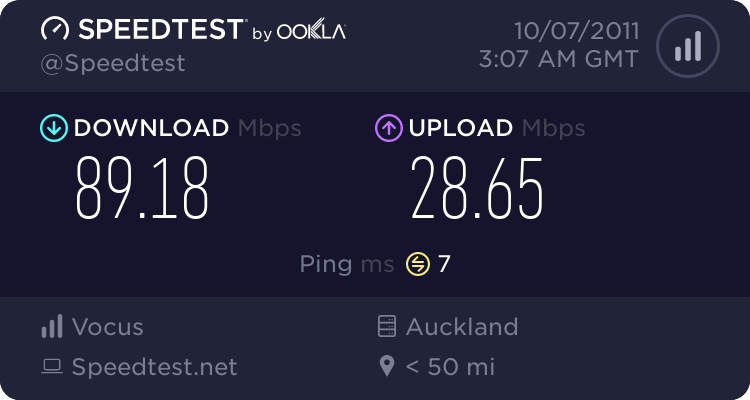 Any information much appreciate, definitely a n00b when it comes to VDSL. Only issues are it doesn't seem to have a UI for IPv6 and I couldn't get it to read my NTFS USB disk. +10000 for Mikrotik, but be prepared for a steep learning curve if you have not dealt with RouterOS before. Quite a number of Snap! users are going for one of the Fritzbox products - had you considered them? I'd agree though, unless there's a good reason to not get it, at least consider the Fritzbox - it's great value if you get it on contract and use for VDSL, router and ATA. And Snap really are good enough that I haven't regretted my 2 year contract for one second, and I'm approaching the end of it I think. Yes it does.. you just have to enable it. Go into system/packages and enable IPv6, reboot and you should have IPv6 option in the Menu. And yes.. the Mikrotik is great and does everything someone would want in a router for a cheap price. I've had one (RB2011UAS) on the end of the UFB connection for a long time. I've set up a number of Zyxel VDSL /Mikrotik Combinations in the past with 0 problems.